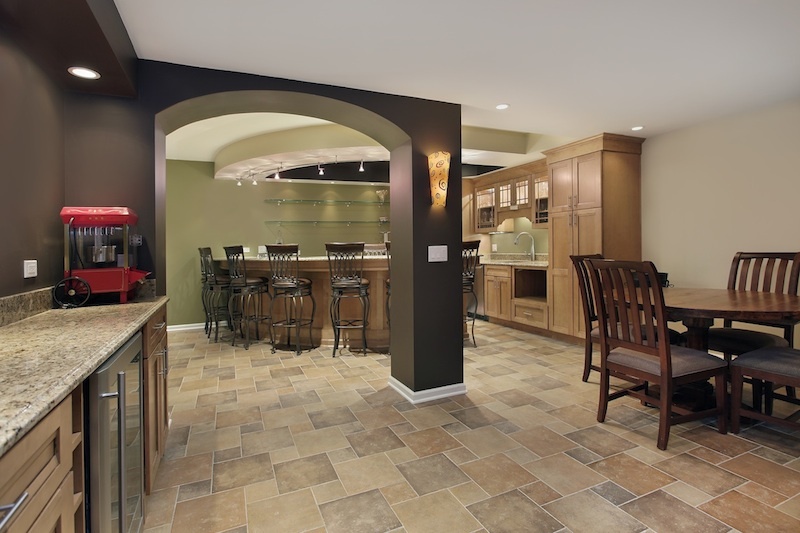 Beckworth LLC are your local Basement Renovation Contractors. Basements are a vital part of any home. A basement can be used to store things like bicycles that won’t fit anywhere else in the home. People also use basements as a retreat from the rest of the house where they play a game of ping pong, grab a beer with friends or just read a good book. If you have a basement that is not finished, leaks or is in some way less than ideal for your needs, this can easily be remedied. With a bit of expert help from the home improvement specialists at Beckworth, it’s easy to get the basement you’ve always wanted. At our home remodeling company in Virginia, we offer Virginia residents many ways to increase the space in their home and help increase their property values at the same time. The lowest floor of any home is an ideal home improvement project. We at Beckworth know just how to transform this space and make it the place of your dreams. We’ll come to your home, examine the space in great detail and then help you decide exactly what to do there. With our assistance, we can identify areas that need to remade and areas that are in great shape. We also offer services that will make the space the kind of space you want. Many homeowners look at this part of their home and think about what they can do here. They might envision it as a space for an extra bedroom, a true home office or a man cave with a bar and a pool table. We can make that happen. We’ll come to house and see the overall condition of this space. We’re experts in home construction in the area so we know what’s truly possible in any house. Any home project of this kind should start with an idea. We help our customers think about what to do down here. If, for example, you want a guest bedroom and a toy room for your kids, we’ll demonstrate how to make sure the area is totally waterproof. Then, we can come in and think about the details. We’ll show you the kind of flooring that is best. We’ll also demonstrate where you might put a new staircase, add in windows for better lighting in the entire area and even create another walk out door. If you’re considering a remodel feel free to give us a call for a free quote (703) 570-6777, or Contact us here. You can also find good resources on our Blog or Facebook.